If you find buying gold or silver too expensive, or perhaps just not interesting enough for you, perhaps it’s time to look into a different precious metal. Palladium is a lesser known precious metal whose value is much higher than silver, but with a growing variety of options to choose from when shopping precious metals. 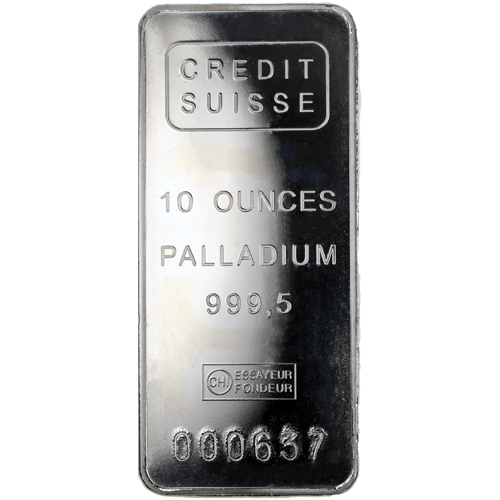 There are various 10 oz Palladium Bars available to you for purchase online today at Silver.com. Consists of Ten Troy ounces of .9995 fine palladium. Obverse and reverse designs vary. Palladium comes from the same family of precious metals as platinum. In fact, it is listed within the platinum precious metals group alongside rhodium, ruthenium, iridium, and osmium. Palladium shares many chemical properties with each of these metals, but is the least dense and has the lowest melting point of all metals from the group. As a precious metal option, palladium has become increasingly popular in the 21st century as an option for investors and collectors. Examples of popular palladium coin programs include the Canadian Palladium Maple Leaf, which is one of the world’s oldest palladium coin programs. The US Mint debuted a Palladium American Eagle coin in 2017 as well. On the obverse and reverse of these 10 oz Palladium Bars you’ll find various designs. The specific designs depend upon the mint from which your bar originated, but examples include features such as PAMP Suisse’s popular Fortuna design range or Credit Suisse bullion bars which are great for investment. Silver.com offers these 10 oz Palladium Bars from numerous mints and in various conditions. 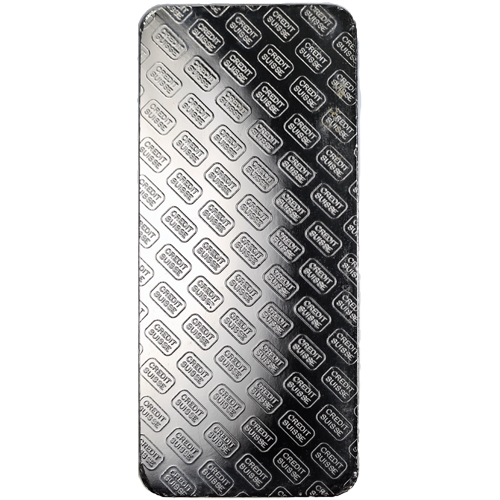 The condition of the bars will vary based upon the availability of bars in our warehouse when your order is processed. We cannot guarantee the condition of the bars, or the specific designs, which vary based upon the mint of origin. Examples of popular designs include those from Credit Suisse. On the obverse of all 10 oz Credit Suisse Palladium Bars you’ll find the image of the Credit Suisse name and logo in its trademark rectangle at the top of the bar. This is followed by the weight, purity, and metal content of the bar engraved in the center, with additional markings of the assayer’s stamp and the individual serial number. We encourage all Silver.com customers to contact us with questions at 888-989-7223. You can also connect with us online through our live chat and email features. For the latest palladium prices and other precious metal spot prices, feel free to visit our homepage throughout the day.